Headaches, blemishes, depression — stress can usher in all these unwelcome physical signs. Dr. Deb Wade says to take steps to de-stress, that “heinous intruder,” and enjoy the lazy days of summer. 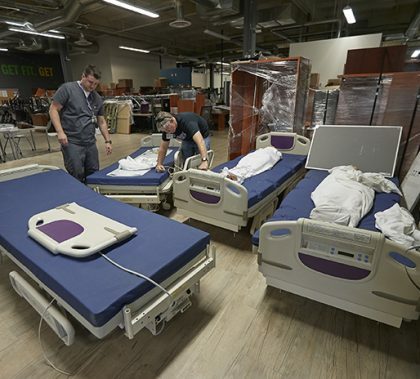 GCU online nursing student Nowman Karram was no shrinking violet when it came to putting in several hours of research to make sure a patient’s pacemaker was compatible with an MRI. His efforts led to him being recognized as a Daisy Award winner for exceptional patient care. 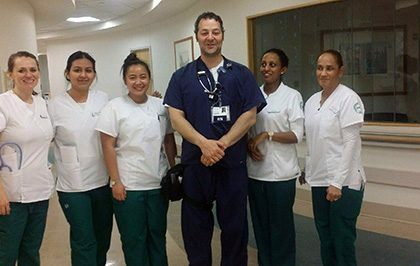 The College of Nursing and Health Care Professions traded spaces this summer with the College of Theology. Deans Lisa Smith and Jason Hiles talk about the move and how it has been a benefit for their respective colleges. 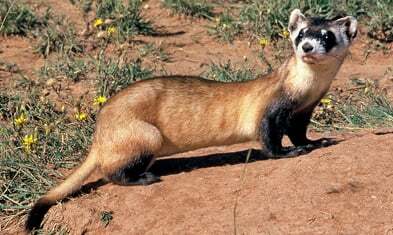 The black-footed ferret was thought to be extinct in the late 1970s until a small population was discovered in Wyoming in 1981. 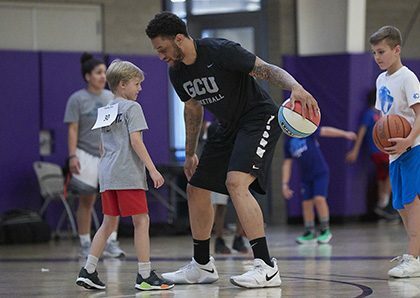 Arizona’s Aubrey Valley became one of the sites chosen to reintroduce the species through a captive breeding program, and GCU biology professor Adrienne Crawford and a small group of students recently helped the program by volunteering for a recent spotlight count of the endangered species. This week’s edition of Antelope Intros features a librarian who is fluent in a most unusual “language” and a university counselor who can use her voice in a little more traditional way. 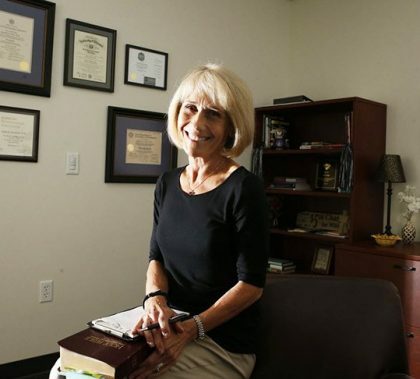 The string of awards earned by Colangelo College of Business instructors continued when Dr. Donna DeMilia was named Campus Advocate of the Year Award from the Institute of Management Accountants (IMA) for her work with the Accounting Society. 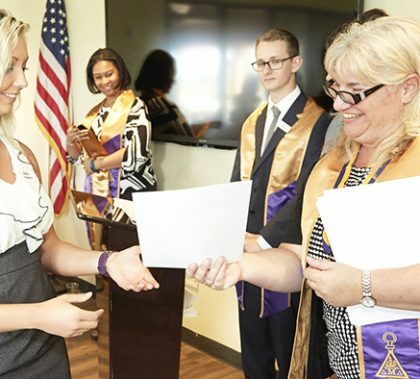 She estimates there are 300 IMA-affiliated chapters in the world. 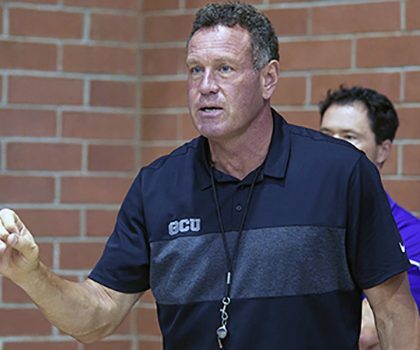 Dan Majerle remembers his first basketball camp: “I want to pass that same valuable experience along to more kids who love the game like me.” Youth will get that experience at the Dan Majerle Boys Basketball Camps, the first of which begins Monday. 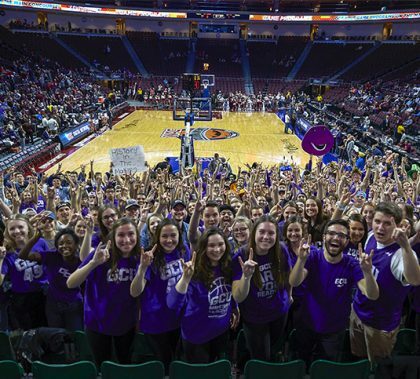 The GCU Lopes made a lot of noise in its first trip to the WAC Basketball Tournament. Here’s the inside story.